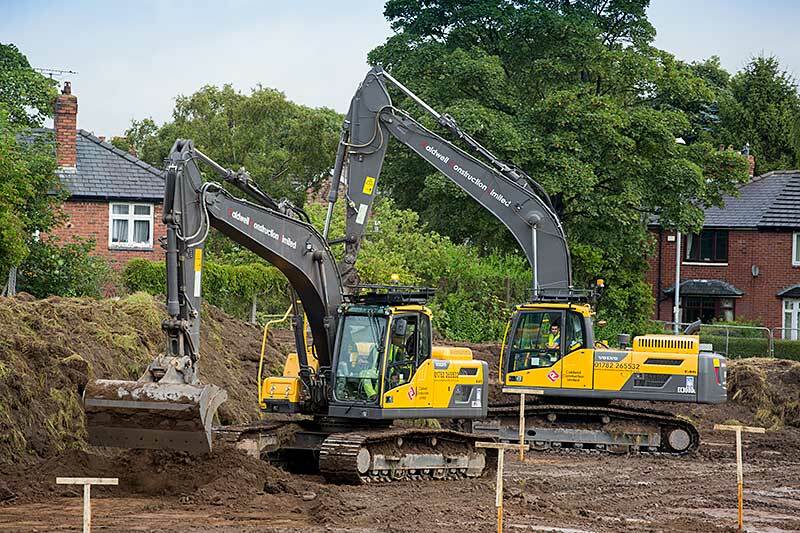 As a business we have invested heavily in plant and machinery to ensure we have a reliable, efficient fleet of vehicles that enables us to meet our client environmental and productivity needs. These are maintained in house by a team of dedicated in house plant fitters. 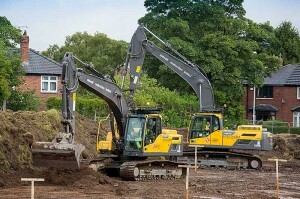 Our extensive fleet of over 50 machines includes a variety of rollers, dumpers and excavators ranging from 1.5 ton mini diggers suitable for plotworks in restricted locations to 32 ton excavators which ensure our major works, including deep drainage and bulk earthworks are completed efficiently to meet our clients expectations and programme requirements. We not only invest in plant but also in our staff, whereby numerous employees undertake further education to develop their careers within the business, many of whom take their site experience into both management and the office environment. One particular example is that of a young bricklayer who with the support of the Company undertook a Construction Management and Surveying degree and joined our team of engineers as a trainee, assisting in setting out and surveying duties.